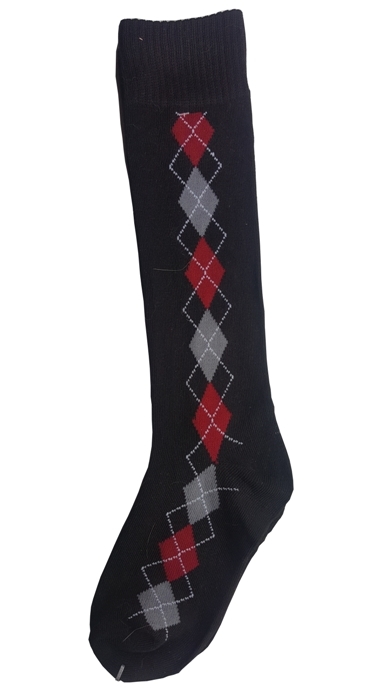 **Back in stock** Vintage golf pattern argyle diamond cotton knee socks in black with red and gray. 70% cotton. Great with shorts or knicker pants. Super old fashioned golf look! Socks size fits ages 4-8 years.